UK Charity, citizenAID, has been recognized for its contributions to countering terrorism with a National award win at the Security & Counter Terror Expo 2018, held in London on Tuesday 6th March. The charity, which scooped the National Counter Terrorism Project Award for its early response initiative, aims to help civilians ‘Be Prepared Not Scared’, by educating individuals, communities and organisations with the medical knowledge to help improve outcomes and save the lives of those injured by a deliberate attack, through the use of its informative smartphone app and pocket guide. The Counter Terrorism Awards aim to highlight the contributions of organisations from the UK and overseas to reducing the threat from global terrorism, ranging from Counter Terror Policing to Counter Terror Education. Other winners included Mark Rowley, QMP, Assistant Commissioner, Metropolitan Police, who received the Outstanding Contribution to Terrorism Award. Since its launch in January 2017, citizenAID has released a free smartphone app, online familiarization videos, a pocket guide and education materials for both adults and children. The charity has also launched a range of innovative and affordable equipment for use during emergency situations, such as its patented Tourni-Key product, which can control life-threatening bleeding. citizenAID was founded by four highly experienced UK clinicians, Brigadier Tim Hodgetts, Sir Keith Porter, Andrew Thurgood and Colonel Peter Mahoney, who have endeavored to improve public resilience. In the event of a shooting, stabbing or bomb explosion, the initiative reinforces the priority of public safety, providing a simple, logical system that the public can follow. It is designed to give the public valuable knowledge regarding communication with emergency services as well as how to prioritize and deliver life-saving first aid. 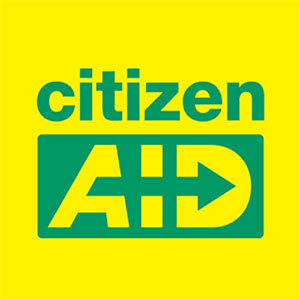 For more information or to make a donation, please visit www.citizenaid.org.